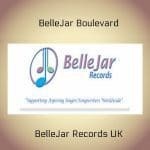 BelleJar Boulevard BelleJar Records merchandising offers from Belle Cannon international country music singer songwriter. Check out her debut album ‘Rewind’ recorded in Nashville at Sound Control. It is currently available only on mp3 download from all popular online download stores. These include for example CDBaby, iTunes and Amazon. With uplifting and inspiring self-penned songs such as Reel Me In, Party and Working Man you will find it impossible to stop your toes from tapping or your fingers from snapping. Sit back and relax to such Belle classics as Between Now and Whenever and Cornerstone. Country Top 30 Countdown. From Tuesday, May 21 to Monday, May 27 2013.